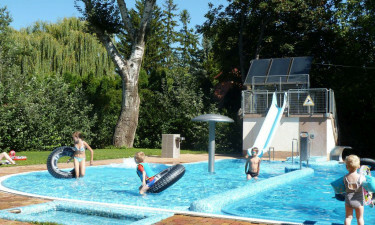 An on-site pool offers fun activities for children and adults. However, there is a large freshwater lake found less than a kilometre away. Clean beaches and cool waters are the perfect options during a hot summer day.